Twice a year we open up our front garden to be used by the Church Gardening Club in memory of our very special Dad who was one of their founder members. We will have tables filled with plants, produce and cakes and a wonderful gathering of special people here from about 10 til 12 tomorrow morning. If any of you live close enough to call by we would be thrilled to see you. oh if only I'd be able to swim the waters to visit! but sadly I'm just not fit enough to swim that distance lol hope you have a fun day tomorrow! 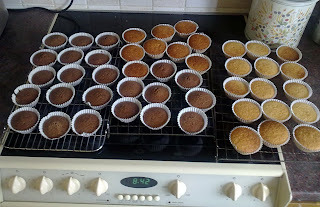 They look yummy and will go well with my choc brownies and cherry cake. Hope it keeps fine so that we get lots of visitors. I will be looking for plants to go on M's steep sloping bank! mmmmmmmmmmmmmm! Dont they look delish! Not exactly what Im allowed now Im on Slimming World but it is lovely even just to look! Hope you all have a wonderful day tomorrow, cant believe its a year so soon since the last time! I think you and Jo have a secret underlayer with a big "S" on it! you make me feel very lazy as I haven't done much yet. 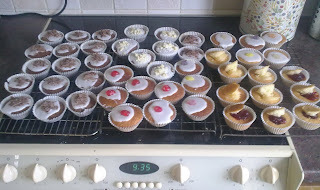 Cakes look scrummy - hope you have a good day tomorrow. Yummo! They look delicious. Haven't visited for awhile as I have been working (teaching) a lot and it is getting in the way of my crafting life! Grrr! Must admit though... I am definitely loving being back in the classroom. I'm sure they'll put MORE than just 15p in the box for those lovely cakes. Have a great day and I hope the sun shines.Wish I could come! 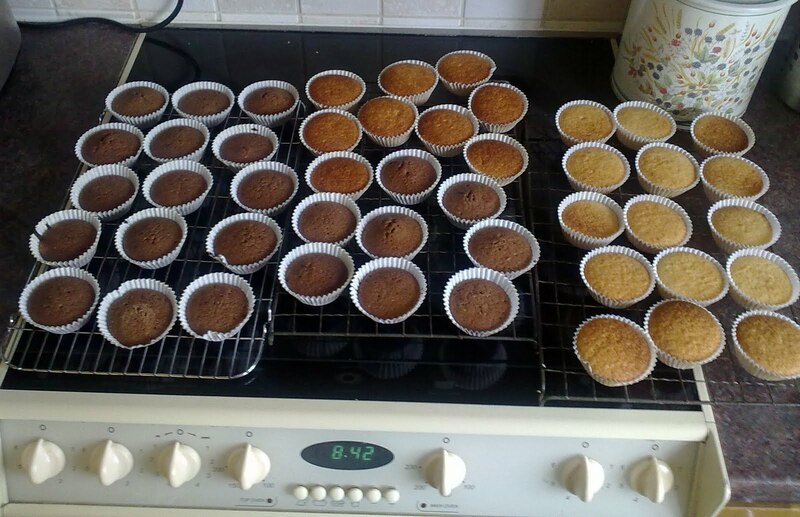 I hope today went well and all those yummy cupcakes have gone otherwise you’ll have to eat the remaining ones yourself…….such a hardship. Lol! 15 p ? I'll have a bag full please ! What a lovely idea. We get a lot of open gardens around here & I always miss the dates ! gosh - I should have come here before so I could snaffle one... seems like you have been as busy as ever Annie. Pleased you report that it went well.